Sell our inspiring, green, socially-conscious products to support your work. For the first three methods, you can purchase products at our wholesale discount rate. Those discounts vary by product category. See Wholesale Discount Chart for full wholesale discount information by product category. Purchase Events to Sell at your events, school, holiday bazaar, conference or ongoing events. This can be quick and easy. Note: products are not returnable, except calendars. Recruit sellers to drum up orders using our current catalog and/or website. We’ll send catalogs and other startup materials. This can raise more money by having members, students, etc. sell to their families, neighbors and more. See the forms below for more information about how to make this work. Sell our Calendars and/or Holiday Cards. 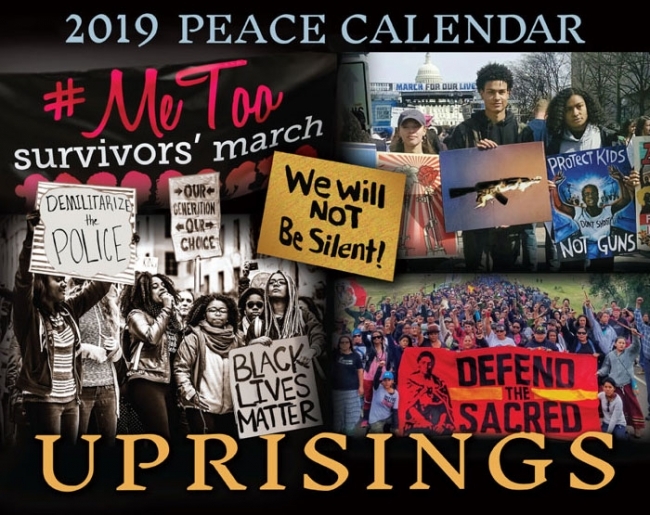 We produce an annual Peace Calendar (wall) and Women Artist Datebook (engagement) as well as a beautiful selection of Holiday cards. Many groups buy in bulk and sell them in the fall as very successful fundraisers. Partner with us for an online sale of our products. We create a custom image with an appropriate product mix for you to send to your email list(s), post on your website and share on facebook or other social media. 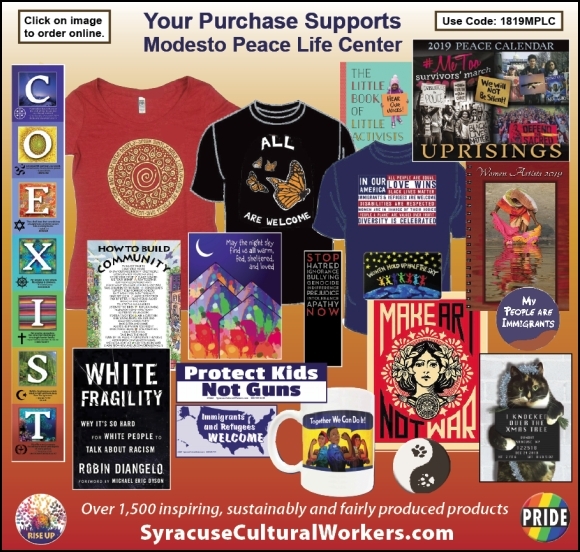 Your members, supporters and their friends click on the link and shop on our website (your custom code is automatically entered on our website through the link). People make their purchases, we send them their products and at the end of the sale (typically 30-60 days), we send you a check for 20% of the gross sales from your folks. This method requires a significant commitment to share the sale information via email lists, social media, website, etc. to encourage sales, but there is no financial risk. Many groups successfully combine these methods. Schools or congregations, for example, provide opportunities for the same people to meet regularly, a sales table can be maintained and orders taken over time and they have email lists too! OUR PRODUCTS are educational, inspiring, affordable and of high quality – exactly what you’re looking for to raise much-needed funds. OUR DISCOUNTS provide your group or organization with a high profit potential. With our products you earn 30-50%, significantly more than the 10-30% profit offered by many other programs.